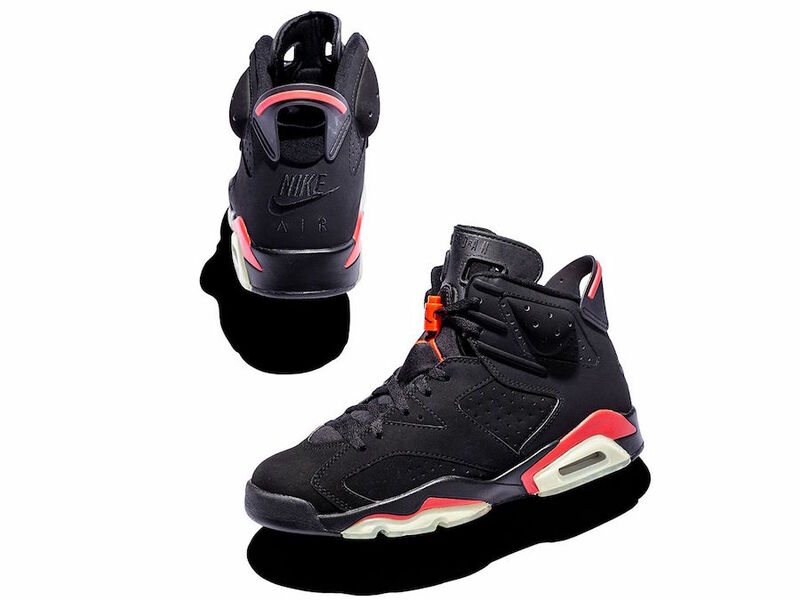 In 1991, MJ debuted the Air Jordan 6 ‘Infrared’ during All-Star Weekend in his home state of North Carolina. The silhouette, designed by Tinker Hatfield, was originally inspired by the sleekness of MJ’s German sports car. It had both visible Nike Air and a translucent outsole. 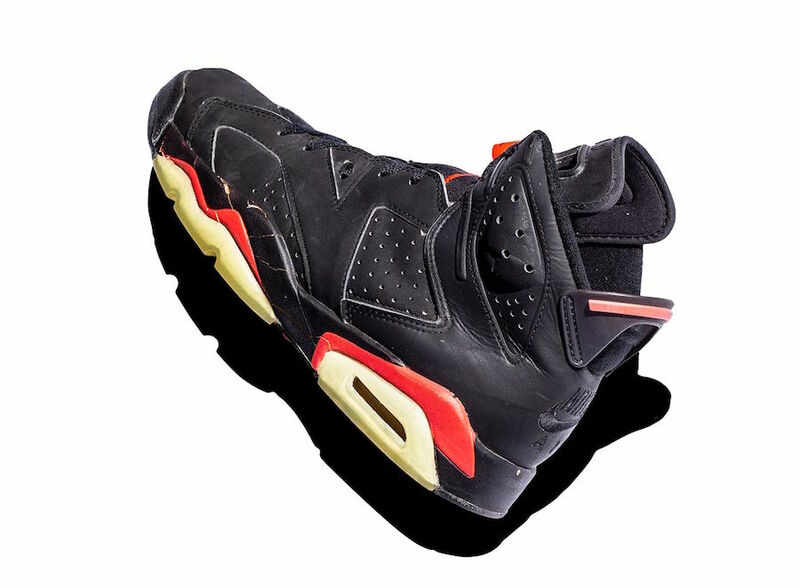 The Air Jordan 6s Black and Infrared palette communicated speed and will forever be tied to MJ’s first of six titles later that season. 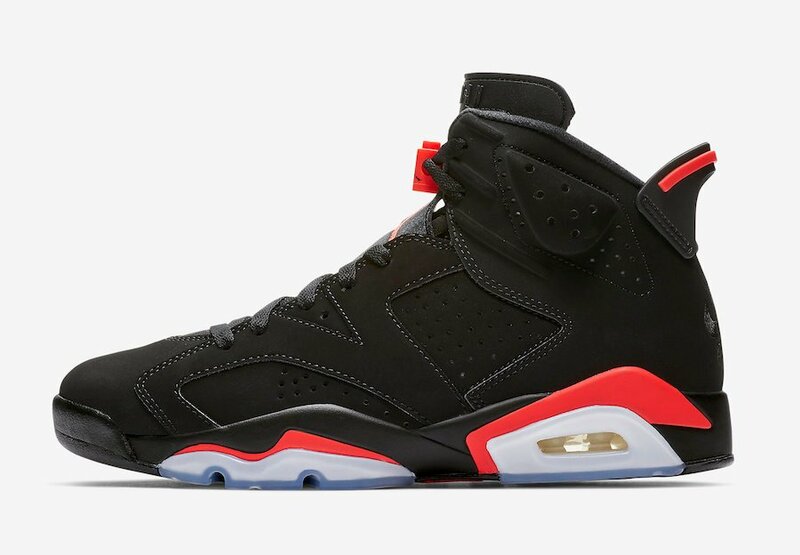 Since then, the Air Jordan 6 ‘Infrared’ has been released in four other versions with varying materials and shades of Red. 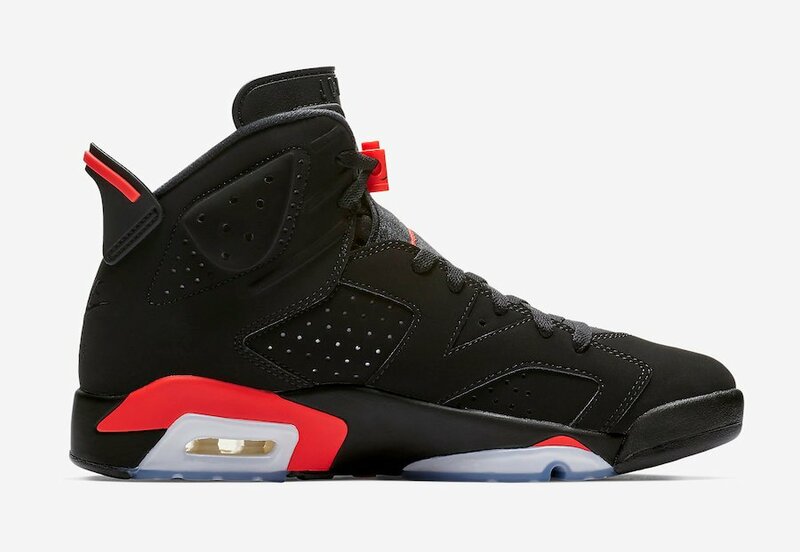 Timed to this year’s All-Star Weekend in Charlotte, in the city where the shoe first hit the hardwood, the OG Air Jordan 6 will returns once again on February 16th, 2019 for retail price of $200. Thanks to Nike SNKRS, we now go inside of the vault to showcase each version of the Air Jordan 6. Released in 1991, the OG version had a nubuck leather upper and a Jumpman x Nike Air lace lock. On the heel, it had the Nike Air logo and reflective detailing. 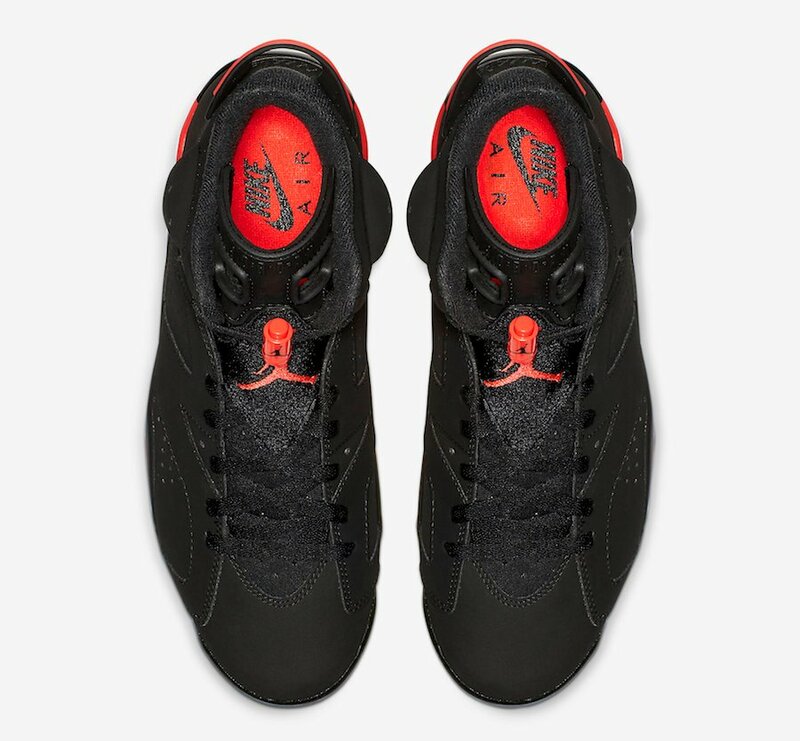 The 2000 version maintained the Nike Air logo on the heel without reflectivity. 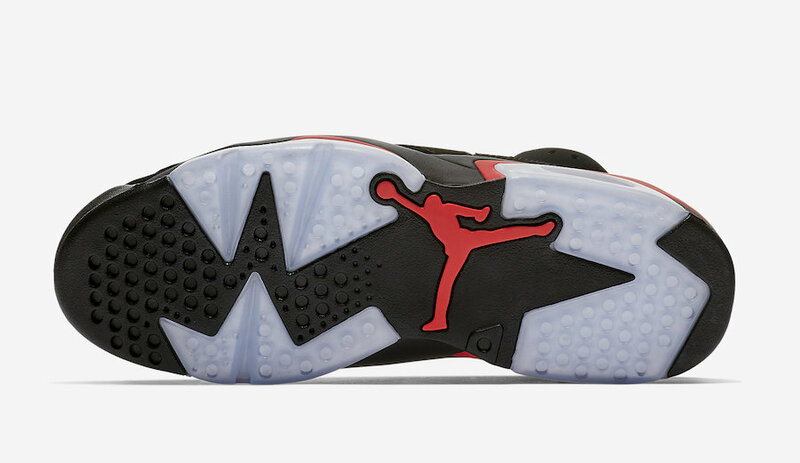 The midsole contained a darker, “Deep Infrared” hue, and the lace lock featured only the Jumpman logo. 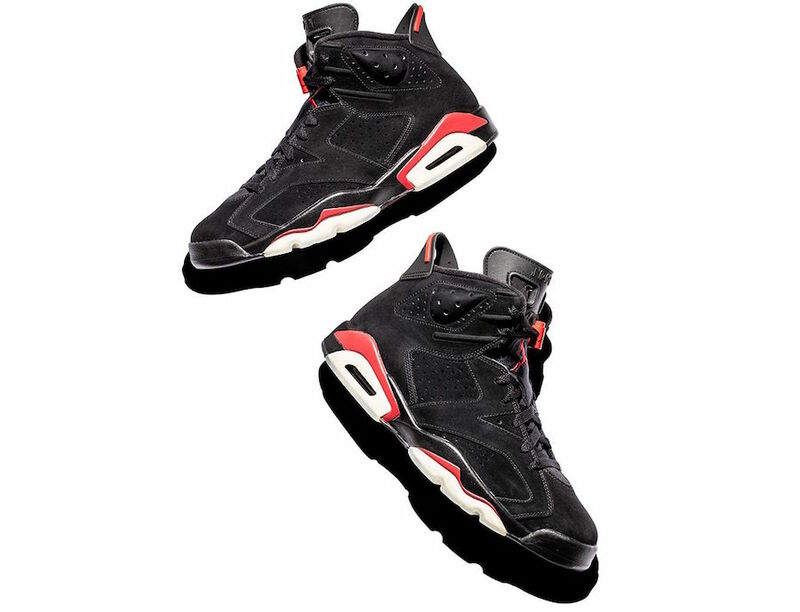 The 2010 “Black/Varsity Red” version continued to have the Jumpman lace lock, while swapping the “Infrared” for “Varsity Red” and the Nike Air heel logo for the Jumpman logo. The visible, clear Nike Air unit also became black for the first time. 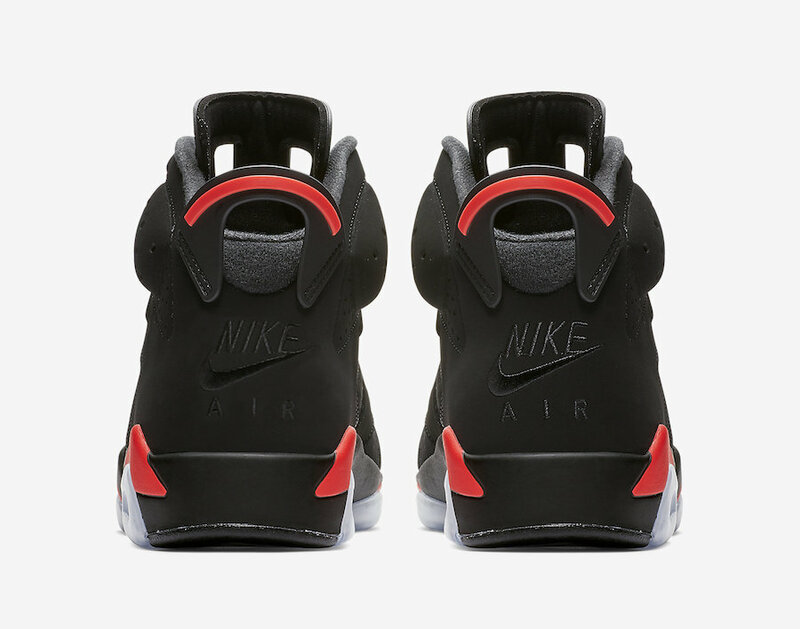 Released alongside a white version, the 2010 “Infrared Pack” version reverted back to a clear Nike Air unit and came with a Jumpman logo on the heel. It kept the Jumpman lace lock and had no reflective detailing. 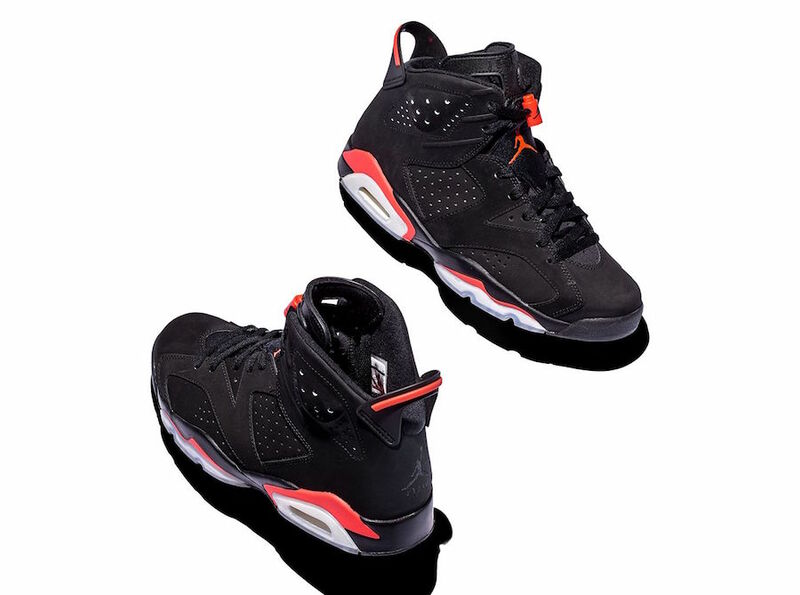 The 2014 version brought back the Jumpman heel logo and reflective detailing and added vibrant, “Infrared 23” accents. It maintained the Jumpman lace lock, as well. The 2019 version brings back the Nike Air heel logo, the Jumpman x Nike lace lock and the “Infrared” accents. 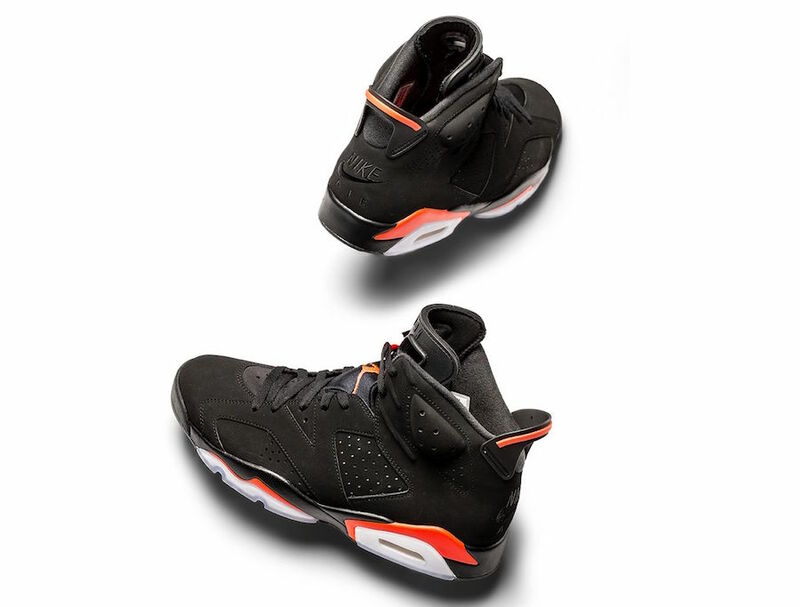 It also maintains the reflective heel detailing and nubuck of the original. Crafted to mirror the original 1991 iteration, the 2019 Air Jordan VI also features a PU molded sockliner. 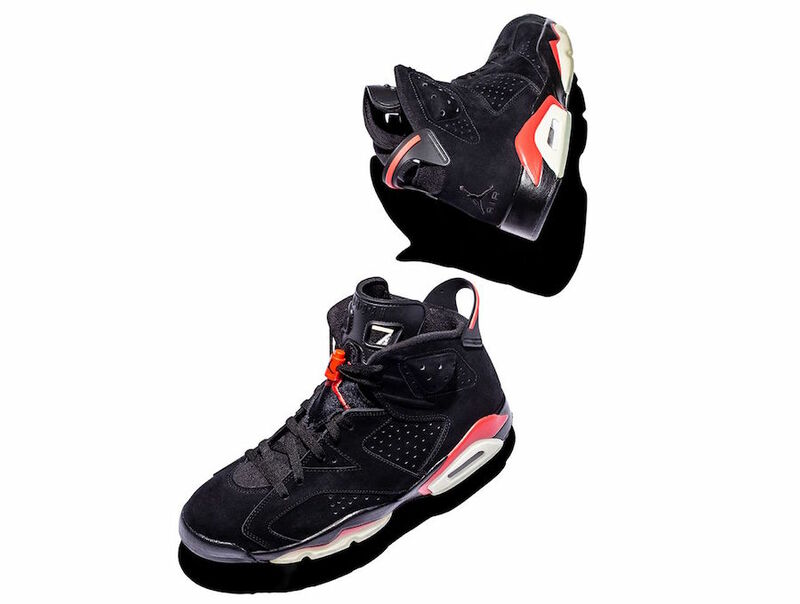 The post Comparing Each Air Jordan 6 ‘Infrared’ Release appeared first on SneakerFiles.